XUKONG NEXUS did join Pegasi! we have new Friends in the Pegasus Commonwealth. We are a fun and friendly PC based player faction whose ethos is to support one another, protect humanity and continually grow in knowledge, number and presence. We are an experienced "Player Versus Environment" (PVE) group that plays the game together as a community in order to share our knowledge and have fun at the same time! As a PVE player group we mostly play in our own "Xukong Nexus" private group. Some of our current members do enjoy "Player Versus Player" (PVP) combat though and we welcome new members interested in exploring either play style responsibly. According to our lore we are generally a pirate hunter faction but we don't have a focus on any particular type of game play, so however you like to play, whether it be bounty hunting, mining, exploring or trading, you will be made very welcome - unless you just want to be a pirate or like to "gank" or "grief" other players! All other areas of game play though can contribute just as much to our group faction and you will find our members enjoy all of them! So if you are new to the game and need some help? Experienced and want to play with other experienced players? Then come along and join in with us! Whether you are into combat, trading or exploration it doesn't matter. All interests* and levels of experience are welcome. We have existing members from around the globe but most are from Europe and North America. Our group was founded in July 3303 and we became established as an in game player faction in November 3303. We run regular community events within our group (and in partnership with our allies) which include group excursions, community challenges, planetside racing, PVE combat challenges and PVP combat challenges. Note: The only PVP that we engage in is organised consensual PVP between ourselves or along with the other player factions that we are allied with. - We are anti-piracy, we support the fight against piracy in all its forms. - We promote peace and co-operation with other factions, aiding in community goals and providing PVE support. - We are open minded towards alien life, study and exploration is encouraged but we will defend ourselves and the rest of humanity if threatened. - We are an independent military hierarchy of pilots, with ranks from General down to basic pilot. 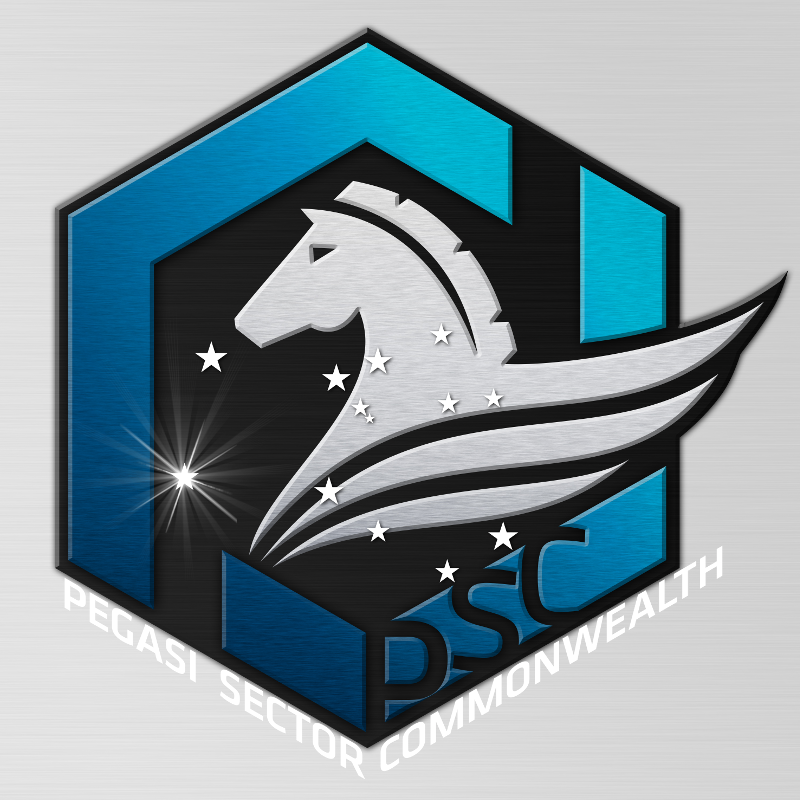 - We are part of the Pegasi Sector Commonwealth - an alliance of player groups promoting co-operation and mutual assistance between member factions.